One of the most eagerly anticipated productions of this year’s Festival is Brett Dean’s Hamlet, which receives its world premiere in June. 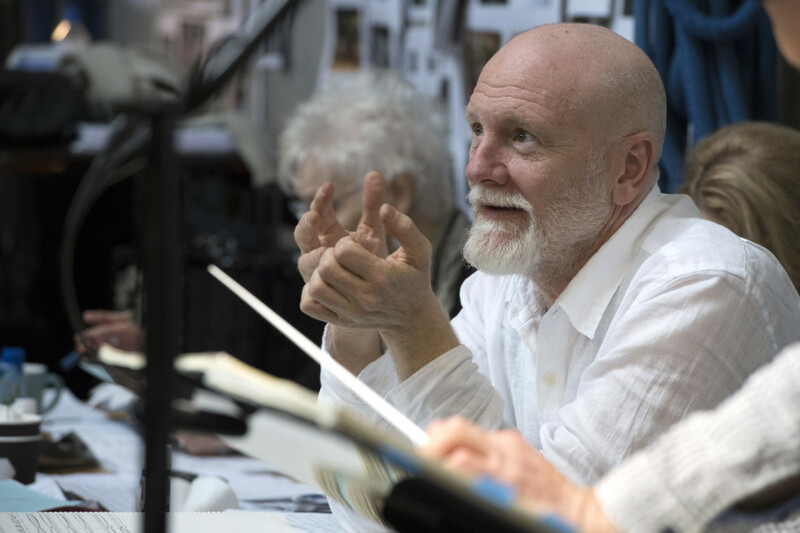 In this short video we go behind the scenes to see how rehearsals are progressing, with comments from director Neil Armfield, singers Allan Clayton (Hamlet) and Sarah Connolly (Gertrude) and setdesigner Ralph Myers. ‘It’s the best story in the world, this story of murder and revenge, of love, of frustration, of family, of paranoia’ says director Neil Armfield of Shakespeare’s timeless tale. ‘You feel a weight of expectation with this being a world premiere and with it being a story that everyone knows but the thing with a new opera is that it’s an extremely evolving process. It’s wonderful for Brett because he sees all sorts of surprises that he hadn’t imagined in the way that the work opens up’. Singer Sarah Connolly agrees, ‘It’s a collaborative effort, it’s a team effort… Everything is changing daily, it’s moulding itself and we are helping mould it’. The design of the production has evolved along with the music. ‘The piece was being written as we designed it’ says designer Ralph Myers, ‘so I deliberately designed a set that allowed anything to take place. That means we’re working a lot in rehearsals to figure out how to use it’. Composer Brett Dean in rehearsals for Hamlet. Photo: Richard Hubert Smith. ‘I’ve never been pushed harder in a role than this’ says Allan, ‘musically it’s very exacting, on top of the dramatic expectations [so] it’s terrifying but good fun at the same time. If you’ve listened to Brett Dean’s music before, his sound world is so incredible. I think you feel surrounded by it’. 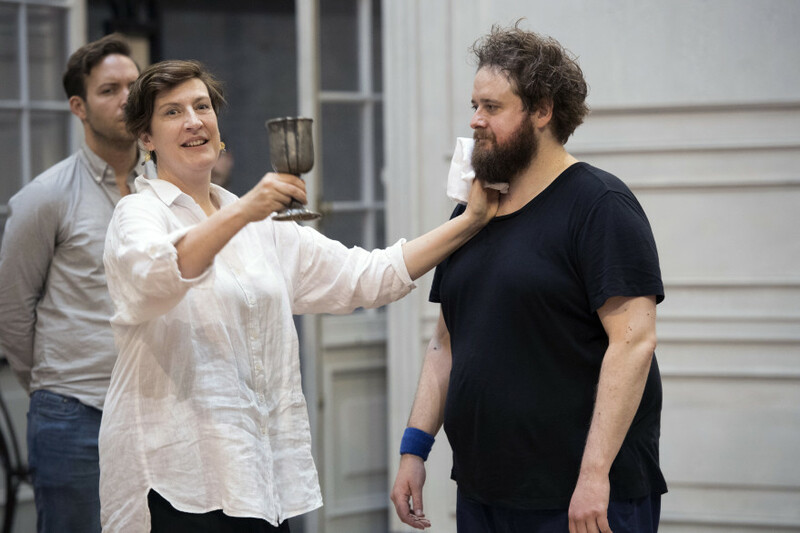 Sarah Connolly and Allan Clayton in rehearsals for Hamlet. Photo: Richard Hubert Smith. ‘You’ve got this crack team of performers, a really wonderful conductor and a really wonderful crew… I can’t imagine how it could be better’.